Gujarat Cooperative Milk Marketing Federation Ltd. (GCMMF), is India’s largest food product marketing organisation with annual turnover (2016-17) US$ 4.1 billion. Its daily milk procurement is approx 18 million lit per day from 18,549 village milk cooperative societies, 18 member unions covering 33 districts, and 3.6 million milk producer members. It is the Apex organisation of the Dairy Cooperatives of Gujarat, popularly known as ‘AMUL’,which aims to provide remunerative returns to the farmers and also serve the interest of consumers by providing quality products which are good value for money. Its success has not only been emulated in India but serves as a model for rest of the World. 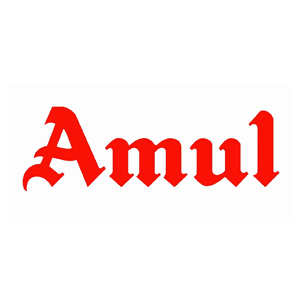 It is exclusive marketing organisation of ‘Amul’ and ‘Sagar’ branded products. It operates through 56 Sales Offices and has a dealer network of 10000 dealers and 10 lakh retailers, one of the largest such networks in India. Its product range comprises milk, milk powder, health beverages, ghee, butter, cheese, Pizza cheese,Ice-cream, Paneer, chocolates, and traditional Indian sweets, etc.